The Romans are credited with first discovering the weathering properties of lead, which they called plumbum on account of its resistance to rain (pluvia in Latin). This also explains the origin of the name for leadworkers (‘plumbers’) and the chemical symbol in the periodic table, Pb. The Romans were using small lead sheets or tiles for roofing as early as 27 BC. Lead is a naturally occurring mineral gained by smelting galena ore. It was sometimes mixed with small quantities of silver and tin, and some authorities suggest that small quantities of such ‘impurities’ add to its malleability and weather resistance. The Romans also introduced copper roofing, in the form of small overlapping sheets, especially on high status buildings, but its high cost compared to that of tiles produced from local clays limited its use throughout the Roman world. 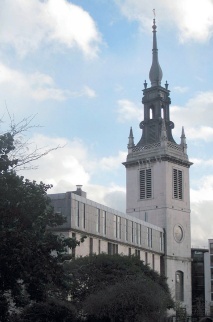 Both lead and copper are highly durable, which is why they have been used on important buildings for so long. They are also very easily recycled, which is why they have been prone to theft. This article looks at the various types of traditional metal roofing as well as modern substitute materials. Properly installed and maintained in an environment which does not involve acidic conditions, lead is probably the longest lasting roofing material available. It is UV stable, resists corrosion from normal weather, and is easily repairable by traditional lead workers. In its natural state lead is a whitish silver colour but it tarnishes rapidly to a dull grey in air, although patination oil can retard this as well as preventing staining due to run-off. Lead has a low cost in use compared to other forms of roof covering, largely due to its weather resistance. But it does have its drawbacks. Firstly, lead has a high coefficient of thermal expansion and needs to be given the capacity to move without tearing its fixings. The standard thicknesses of lead sheet are defined by ‘codes’ that are based on weight in imperial pounds per square foot, so Code 4 lead sheet’s approximate weight is 4lbs/sq ft, while Code 5’s is 5lbs/sq ft. The Victorians, proud of being able to calculate stresses in materials and design buildings to use materials to their maximum tolerances, often exceeded modern lead tolerances, not always successfully. Secondly, lead can be subject to underside corrosion, especially in contact with green oak, and associated with the use of unvented gas heating systems. An acidic atmosphere condensing in an unvented environment leads to oxidisation and the formation of white lead oxide, a highly toxic powder. Thirdly, lead itself is toxic and builds up slowly in the body requiring care on the part of those who work with it. Sand-cast lead, run out over a table of compacted sand, is widely regarded as superior to milled lead, where the molten raw material is run between two rollers and cooled more rapidly. However, it requires more care and craft skills in its production and often contains more antique lead, containing a greater proportion of silver and tin which give it better workability and durability. Milled lead on the other hand may be a more consistent product and it is often cheaper, although the cost balances out when the value of salvaged lead is added into the equation. Copper roofing underwent a revival in the 1950s when its use became fashionable on civic buildings, and the formation of the Copper Roofing Association promoted its development and use. Many historic buildings have copper roofing in good condition which is over 60 years old. It is relatively trouble-free. Copper sheet was usually laid over ‘inodorous felt’, which was traditionally made from horse hair but modern underlays use a wide variety of materials including geotextiles. Surface finishes have been applied to either encourage corrosion to a green verdigris colour, or to prevent it. Copper roofing is less prone to thermal movement than lead, enabling it to be laid using upstand seams and clipped more securely to its substrate. Depending on the world market price, copper can be vulnerable to theft, although the method of fixing tends to render this less likely than with lead. This mineral was also known to the Romans and the oxide was used in the production of brass, but it was not until the mid-16th century that it was recognised as a metal in its own right. The industrialisation of the smelting process began in Bristol in 1743 but it was not until further developments in Belgium and Germany in the middle of the 19th century that the production of a cheap zinc roofing material got under way. The metal itself is comparatively cheap to produce and to lay but more vulnerable to corrosion in damp, polluted atmospheres than copper or lead. In the UK it has been prone to perforating due to acid rain and, when laid over oak boarding, tannic acid. Further developments in 19th-century France introduced galvanising by smelting zinc and tin together and coating this onto steel using an electrolytic process. More common in mainland Europe and the Far East, zinc sheet roofing has recently become fashionable in the UK and it is available in a limited variety of coatings and colours produced by companies such as Nedzink in Germany and Elzinc in Spain, although its use in a conservation context is likely to be limited. Henry Palmer, an architect for the London Dock Company, patented a die-rolling process in 1829 to corrugate metal sheeting, which gave it strength to support itself over greater lengths, thus reducing the cost of construction. Originally Palmer used wrought iron, but thinner steels were lighter and more transportable. Palmer's patent ran out in 1843 and the first pre-constructed buildings using the material were exhibited at the Great Exhibition in 1851. The use of corrugated iron for cheap buildings spread rapidly leading to what William Morris called in an 1890 pamphlet: ‘a pestilence spreading over the country’. Enterprising companies marketed packaged buildings for community uses, and the ‘tin tabernacle’ was born. Some early survivors have been listed, but it is now largely restricted to temporary structures and protection. Long-term protection depends on maintaining a good repainting regime. Iron roofing was an early substitute for other materials due to its fire-proofing qualities but surface corrosion was always a problem. Cast iron was less prone to corrosion than ordinary iron, but still required protection by paint or anodic protection. One of the most famous buildings which retains a cast iron roof is the Palace of Westminster. Steel performed slightly better due to the addition of carbon to the molten iron but zinc coatings and lead paint were much improved forms of protection, although each came with a significant health risk. A big leap forward came in 1913 with Harry Brearley’s discovery that adding a small proportion of chromium to steel during smelting greatly improved its corrosion protection. 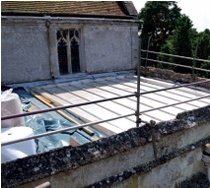 Stainless steel being laid on the aisles of the parish church of Tisbury, Wiltshire: the high parapets made the lower roofs vulnerable to theft, but they also meant that a change in appearance would not be visible. Stainless steel, or ‘corrosion-less steel’ as it was first called, was originally developed to prevent corrosion in gun barrels by the addition of small amounts of chromium and nickel. Its use for roofing didn’t begin until the 1970s, when the Less Steel Strip Company promoted the material as a substitute for lead roofing. It was relatively light, being about half the thickness of copper, and easy to apply, usually with a device which produced a folded-over standing seam. Since it does not oxidise or discolour, stainless steel roofing remains bright, which is a disadvantage on historic buildings. It also has a relatively low puncture-resistance and is difficult to mend. Repairs on historic structures tend to involve glue or mastic. As it ‘drums’ when rain falls on it, a deeper isolation material must also be used than is necessary for most other forms of roofing to muffle the sound. There is a wide range of specifications of stainless steel on the market varying according to the proportion of other metals they contain, which affect workability and durability. They are divided into three types by their crystalline structure: ‘austenitic’, ‘ferric’ and ‘martensitic’. Two basic types are commonly specified for roofing. The most commonly specified is Type 304, which contains 18 per cent chromium and 8 per cent nickel. Type 316, which is used in harsher environments, also contains a small proportion of molybdenum, added to increase its resistance to corrosion. Both are ‘austenitic’ types. The earliest roofing felts were papers covered in tar to make them waterproof and were used to create temporary waterproof structures. In the 1930s their use developed and rapidly replaced horsehair felts after health scares about anthrax. Various base layers were developed including asbestos fibre, sisal, fibreglass and hemp, all coated in bitumen derived from the petrochemical industry. The great benefits of roofing felts are that they can be applied to any roof no matter the pitch, and can take a variety of surface finishes. They can last up to 30 years depending on the quality of the solar finish applied. However, they need to be bedded with bitumen which makes them both problematic to lay over a historic building structure and relatively unsustainable as a long term solution. Their ‘cost in use’ over the life of a building is relatively high compared to metal roofing due to the short life-span before the felt succumbs to embrittlement due to sunlight (UV radiation). Glass fibre was developed by the American Corning company in the 1930s after a technician accidentally blew compressed air through a vat of molten glass. DuPont developed the resins needed to strengthen the material and further development in the 1960s produced glass reinforced plastic or GRP, which is now widely used in a range of applications. Its great selling point is its versatility and ability to mimic aesthetically any other material including lead roofing, tiling and even thatch, and it has often been used to replicate difficult or inaccessible roofing details. However, while the glass content itself is probably indestructible, the polymer matrix is vulnerable to embrittlement, fading and scorching by sunlight, affecting early examples. Despite recent improvements, its long-term weathering remains uncertain. As a rigid, lightweight material, GRP is also vulnerable to wind-lift, and although the material is impervious to moisture, its ability to prevent water penetration is only as good as its fixings. Being impervious, GRP roofs can also suffer from mould growth underneath the surface without adequate ventilation. These come in five basic types: PVC (Poly Vinyl Chloride), TPO (Thermoplastic Polyolefin), TPE (Thermoplastic Polyolefin Elastomer), EPDM (Ethylene Propylene Diene Monomer) and PIB (Polysio-Butylene). Of these, PIB and EPDM are forms of synthetic rubber. PIB has been in production the longest, is the more versatile of the two, and is recyclable. EPDM is a synthetic rubber used for pool liners and although it is the cheapest of the single ply membranes it was not specifically designed for use in roofing. TPO, TPE and PVC are hot-air weldable, repairable, durable and recyclable materials, but come in a limited range of colours. Lead-grey materials may be used with accessories that mimic lead batten roll and standing seam profiles (see illustration). BBA-certificated life expectancy ranges from 20 to 40 years depending on the quality of the product, so cost in use varies significantly. Sika Ltd has developed a range of improved PVC products with the refurbishment market in mind under their ‘Sarnafil’ trade mark which claims 50 years durability. None of the single ply membranes are breathable to any great extent so carefully detailed ventilation needs to be incorporated. Less common as a roofing material, aluminium can now be enhanced with the addition of a zinc layer. ‘FalZinc’, ‘Titansilver’ and ‘KalZinc’ are typical trademarks. The benefits are lightness and workability. The fixings are usually standing seams or batten rolls which makes lead replacement finishes problematic from an aesthetic point of view. The material’s 95 per cent recyclability is stressed in product literature but its green credentials are somewhat undermined by the high energy consumption of the smelting process. Life expectancy is given as 40 years by most manufacturers. 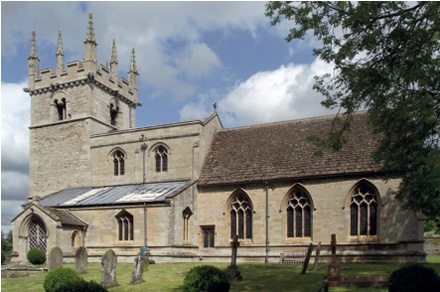 Above left: Sarnafil, a polymeric sheet material, in this case detailed in imitation of lead at St Joseph’s Church, Wool, Dorset (Photo: Owlsworth Roofing). Above right: Terned steel on the roof of a new extension to Wymondham Abbey, Norfolk, by Freeland Rees Roberts: bright silver when first laid, the metal will continue to dull as it ages. Terne coating has been on the market since 1968, ‘terne’ referring to the application of an alloy containing lead and tin which gives steel the appearance of lead without the weight, being about equivalent in weight to Code 1 lead sheet. In the 1990s the Follansbee steel company developed terne coatings of zinc and tin with a superior weathering to lead (TCS/ZT) and, in recent years, with a thicker and more durable coating (TCS II). ‘TCS’, a registered trade mark, is also available with an aluminium and zinc coating (TCS/AZ) which performs better in marine environments. A limited number of other producers market terne-coated stainless steels in a wide range of colours and textures. Uginox is probably the European market leader and its ‘Patina’ range of ferric stainless steels and ‘Top’ range of austenitic terne-coated steels have been specially formulated for roofing applications. Careful selection is essential to achieve the best stainless steel for the appropriate environments at the best cost in any given application. TONY REDMAN MA BSc FRICS IHBC is a conservation-accredited chartered building surveyor and partner in Whitworth (The Whitworth Co-Partnership LLP) (see website).